Robert Huff (GB) ensured that the Volkswagen Golf GTI TCR took its place in the winners’ list of the FIA World Touring Car Cup (WTCR) for the first time this season. The driver from the Sébastien Loeb Racing team came through a hard-fought affair to win race two of the second race weekend in Budapest, Hungary. Sébastien Loeb Racing is responsible for running both 257-kW (350-hp) touring cars from Wolfsburg in the WTCR. Huff and team-mate Mehdi Bennani (MA) claimed five of a possible six top-ten results in this weekend’s three races. Victories in races one and three went to Yann Erlacher (F, Honda) and Gabriele Tarquini (I, Hyundai). The season’s six races so far have been won by four different manufacturers. 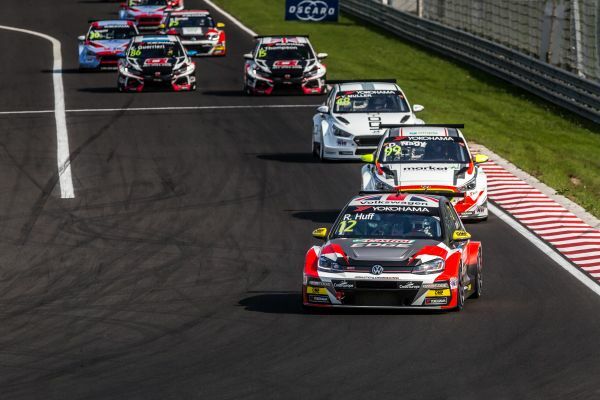 The next round of the WTCR is a special one: Races seven to nine will be held on the Nürburgring-Nordschleife from 10 to 12 May.